As the only designated liberal arts institution in the 16-campus University of North Carolina system, the University of North Carolina at Asheville (UNCA) serves students who are prepared for academic challenges by offering an intellectually rigorous education that builds critical thinking and workforce skills. Students with a broad range of interests select from 30 majors at UNC Asheville, where they get a private school education at a public schools price. Students develop a strong sense of social responsibility through service learning and volunteer activities. They take part in learning far beyond the traditional classroom with internships, study abroad and diverse cultural opportunities. It is one of only six public universities in the country classified as national liberal arts universities. REAL Events Series (Rediscovering Entertainment, Arts & Learning): See major touring performing artists between September and April. Plus, enjoy a variety of campus arts performances and presentations. See their current Cultural Arts Calendar. Community Events & Programs: The Osher Lifelong Learning Institute at UNC Asheville: Formerly the North Carolina Center for Creative Retirement, this award-winning, internationally-acclaimed learning community is dedicated to promoting lifelong learning, leadership, community service, and research. Their goal is to enable members to “thrive” in life’s second half. 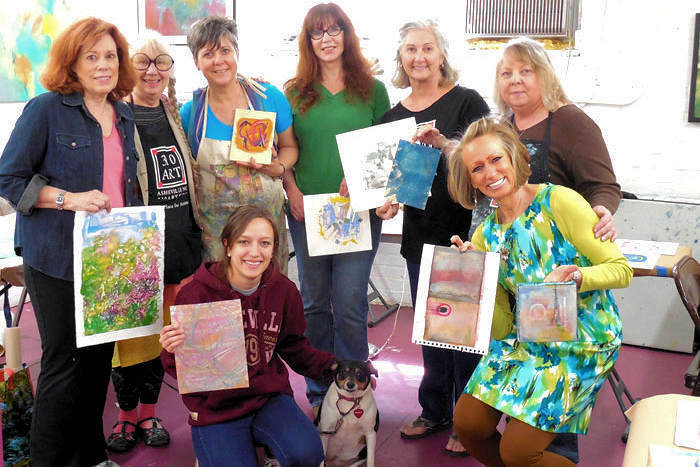 OLLI at UNC Asheville embraces an comprehensive array of programs in the arts and humanities, the natural world, civic engagement, wellness, life transition and retirement relocation planning, intergenerational co-learning, and research on trends in the reinvention of retirement. They are housed in the Reuter Center on the campus. Go to their Web site. 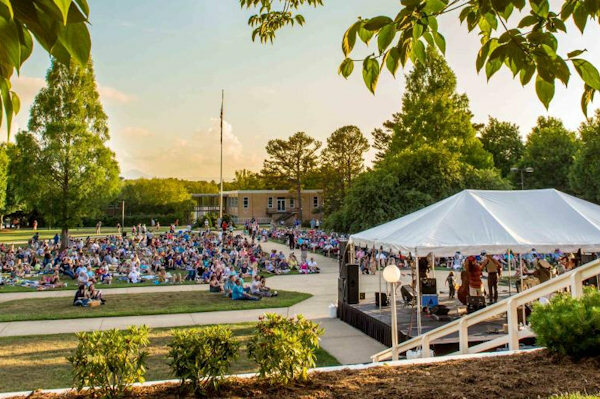 UNC Asheville’s Concerts on the Quad feature five free summer outdoor community concerts, spanning many musical genres. They are held on Monday evenings from mid June to mid July, 7 until 8:30 PM. Attendees are invited to bring chairs, blankets and picnics to enjoy along with the music. North Asheville Tailgate Market: Visit Saturdays 8 AM-12 Noon in April-November for the area's oldest market with 40+ farmers, bakers, growers, chefs and artists who offer a wide range of products. Find an abundance of fresh cut flowers, seasonal fruits & vegetables, baked goods, brick oven baked breads, native plants, honey, farm fresh eggs as well as locally raised natural meats. Live music every week. Located in the Campus Commuter Lot #C. Enter UNCA from WT Weaver Blvd. traffic circle onto University Heights. Market is first lot on the right. Follow yellow signs for additional parking. 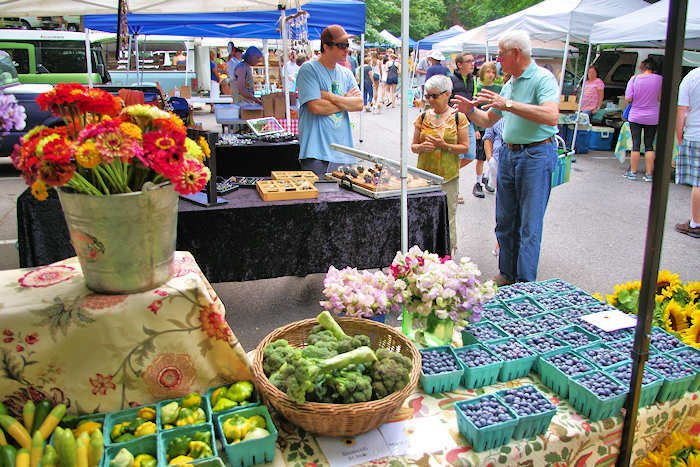 Read more about local farmers' markets. Botanical Gardens of Asheville: A half-mile walking trail through ten acres showcased 600 species of plants, flowers and trees. Admission is free. Read more. Carol Belk Theatre: 200-seat theatre with productions from Theatre UNCA and Asheville Theatre for Young Audiences. Kimmel Arena: See a lively basketball game or enjoy a concert in this 3,200-person capacity arena. 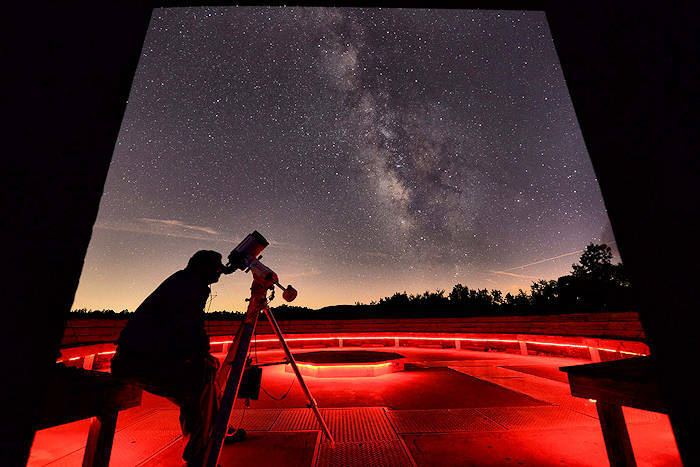 Lookout Observatory: Star gaze with the local Astronomy Club of Asheville throughout the year at this observatory built at UNC Asheville in 2014. Read more about stargazing events here. The Office of Cultural & Special Events (CASE) works to extend classroom learning by providing a wide array of diverse programs that enrich, educate and entertain our students, campus community and the community-at-large. CASE presentations feature world-class, professional performing artists and major speakers. The University of North Carolina at Asheville was founded in 1927 as Buncombe County Junior College for area residents interested in pursuing their educations beyond high school. The school underwent several name changes, merges with local governments and school systems, and moves across Asheville, and in 1957 Asheville-Biltmore College, as it was then called, became the first two-year institution in North Carolina to qualify as a state-supported community college. The college relocated in 1961 to its present site, 265 scenic acres. Two years later it became a state-supported senior college under a new board of trustees, and in 1966 awarded its first baccalaureate degrees in liberal arts disciplines. In 1969 Asheville-Biltmore College joined The Consolidated University of North Carolina as the University of North Carolina at Asheville, with the distinct mission to offer an undergraduate liberal arts education of superior quality. In 1972, the Consolidated University added 10 other state-supported senior institutions to form the current 16-campus University of North Carolina system. UNC Asheville’s reputation as a high-quality public liberal arts university extends beyond the state. UNC Asheville has received national recognition for its integrative approach to the liberal arts, specifically its Undergraduate Research and Humanities programs. The noteworthy combination of innovative academic programs, interdisciplinary study and low cost draws praise from the national college guidebooks annually. The popular Fiske Guide to Colleges ranks UNCA among its top 20 Best Buys in public higher education, saying, "The University of North Carolina at Asheville offers all the perks that are generally associated with pricier private institutions: rigorous academics, small classes and a beautiful setting. And it does it for a fraction of the cost. All the ingredients for a superior college experience lie in wait at Asheville: strong academics, dedicated professors and an administration that continues to push for excellence." The Princeton Review: the Best 311 Colleges, lists UNCA in this select group, saying, “For students who seek a public education in a smaller campus environment, this is a great choice.” And U.S. News & World Report's annual college rankings places UNCA fourth in the nation among public liberal arts colleges.